Pen drives used to store the music, videos or any other data. pen drives are most portable Storage device for many peoples because its very portable other than devices. Now Flash drives also manufactured as fake drives and looks like original one. These duplicate pen drives imported from china and selling by some peoples in India. They are selling these pen drives at low price. Even 256 GB Flash drives sold for 500 Rs. On computer, it will display only fake size of pen drives. Generally its capacity within 4 GB only and that made with small programs to show bigger capacity. When you copy the files larger than 2 GB, it will struggle to work and processing will be slow and finally you will see your flash drive is dead. So here is the guide to you, how to check your flash memory drives are original or fake. H2Testw is worthy software to check a flash drive is original or not. With this tool you can check pen drives, flash drives, SD cards and various types of memory cards also. 1. Download this software here. 2. Unzip/Extract the file and run the application file. 3. Before checking a pen drive, empty the files and folders. 4. Click Target device and select your removable device. 5. Click Write+Verify button and wait for your pen drive being checked. 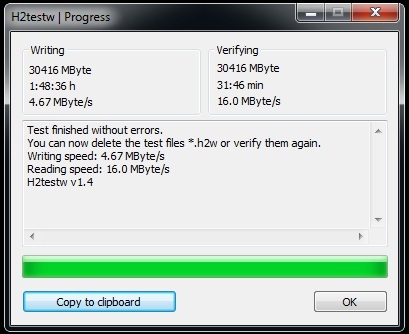 This software displays read/write speed and errors of your usb drive. 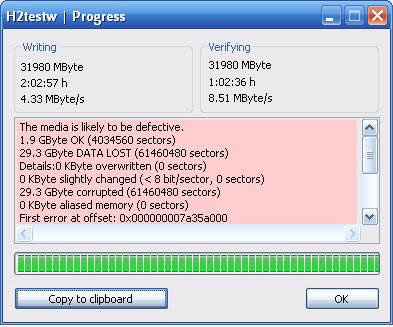 If your usb device is damaged, you will see some errors. you can select also internal hard disk drives for this verifying method. • Don’t buy pen drives from unfamiliar persons. • There are many branded companies including HP, Sandisk, Transcend, Sony and Kingston selling pen drives online and offline. • Buy only in branded stores and good shops you already known. Very useful information and software dear :) Thank u..
good and useful post.. thanks for sharing sister..!! yah use full post.... thnX dear.....!!! yet another good post. Thanks. Usually Hard Drives / Pen Drives has less storage than Actual storage size. So dont afraid of it.